fish/ TROPICAL FISH/Red eye tetra. The red eye tetra (Moenkhausia sanctaefilomenae), also known as the yellow-banded moenkhausia, the yellow back moenkhausiaand the yellowhead tetra is a species of tetra. 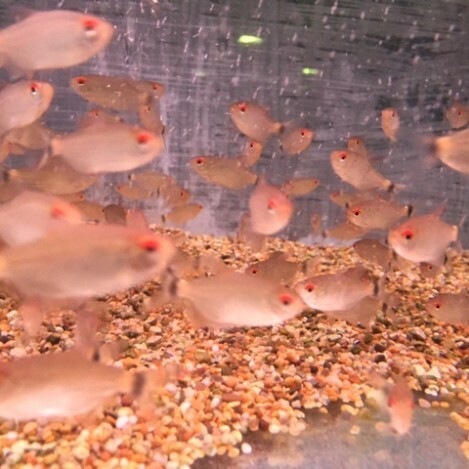 The Red eye tetra fish prefer PH slightly acidic so they can tolerate lower PH levels down to 6.5. They prefer water temperatures of 76 °F, 25 °C, and they can grow up to 7 cm fully grown. The red eye tetra although a type of tetra can be a very nippy fish. We would recommend not to put them with fish that have long fins. They prefer to be in groups, so groups of 5 or more is best, this can some times calm them down and stop them from nipping your fish. But this is just some times we still say they can be a little nippy. 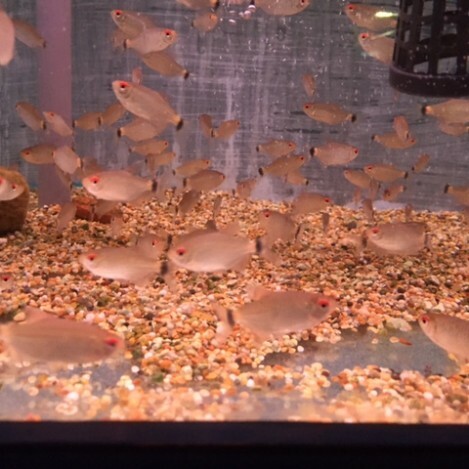 The red eye tetra is not fussy on there food they will eat anything you put in the tank, from flake to pellets. 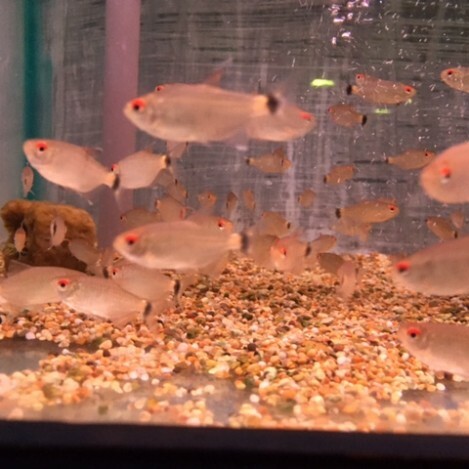 The red eye tetra will eat food from the surface and the bottom of the tank. They require dry foods and also frozen or live foods. As they do like a bit of meat in there diet. 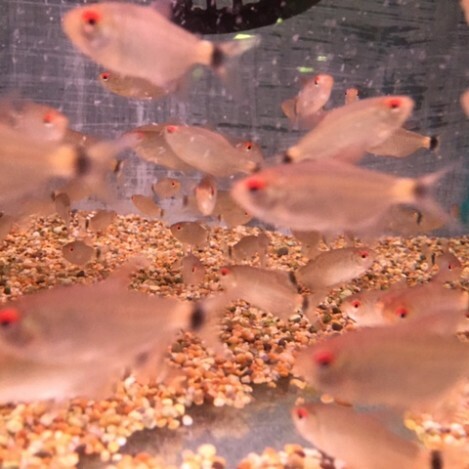 We recommend feeding the red eye tetra once a day at the most. This is a very well presented store, a lot bigger than it looks on the outside and very reasonably priced!! 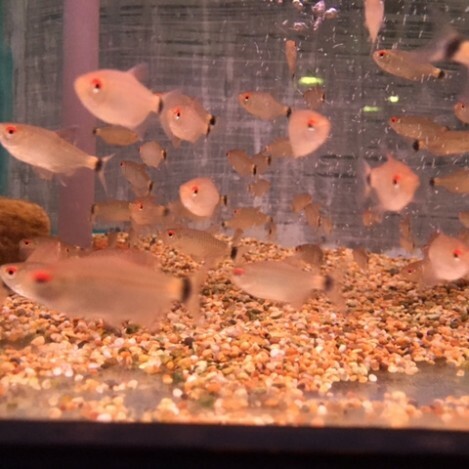 The fish are also in the best condition I’ve seen from any aquatics store in the area. Brilliant staff with expert advice. Its a great local business and I have recommended sedgley road aquarium to all my friends and family. possibly need for your aquarium. Sedgley Road Aquarium is one of the Midlands largest and well established aquatics shop. Our business was formed in 1968 and has been passed on through to its 3rd generation of family members.